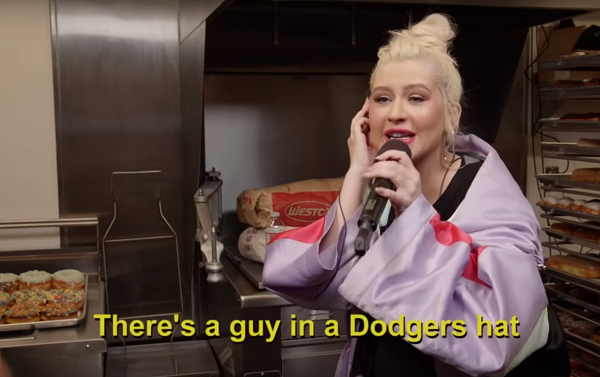 Christina Aguilera Goes “Undercover” To Prank Customers In Donut Shop. When you’re wandering around the streets of Hollywood, California, you never know when you might come face-to-face with a celebrity. Patrons of Randy’s Donuts on Hollywood Boulevard got a sweet surprise when none other than Christina Aguilera pulled an epic prank with help from “Jimmy Kimmel Live.” Christina was visiting Jimmy’s show to promote her new Las Vegas residency, Christina Aguilera: The Xperience. 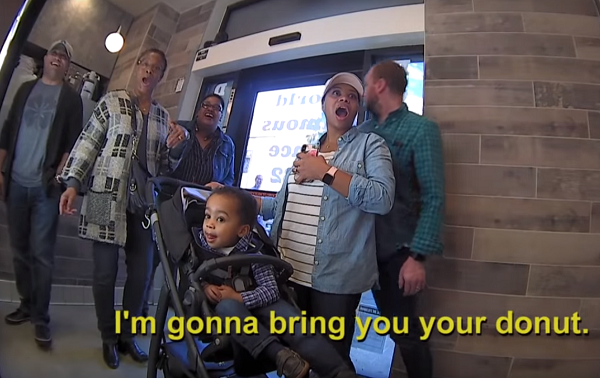 While the “Beautiful” diva was on set, Jimmy decided to start a new show segment called “Undercover Sing.” The premise is simple; a famous singer goes into a shop and sings parody versions of their own songs for unsuspecting customers. 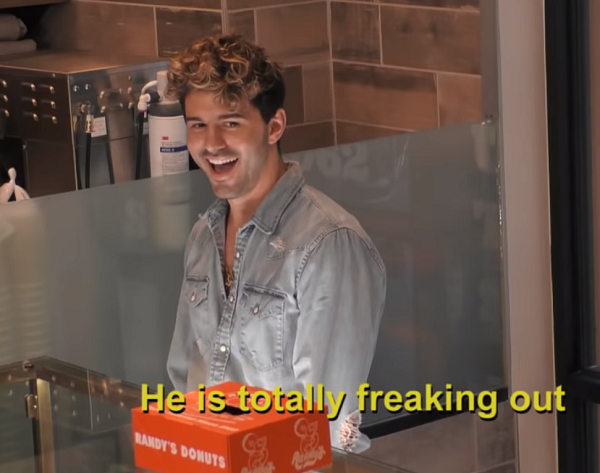 Since Randy’s Donuts is right across the street from the Jimmy Kimmel studio, Xtina and company headed behind the counter to bring some sunshine into the lives of strangers. The results were hilarious! 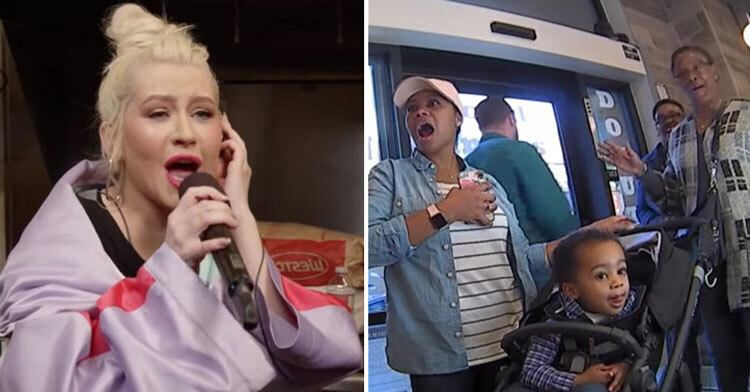 Singing to the tune of her first pop hit, “Genie In A Bottle,” Christina started listing off the clothing choices of the first group of customers to enter the shop. 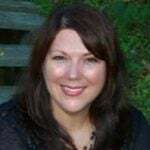 It takes a few minutes for them to realize that what they’re hearing is not a recording, it’s actually someone who sounds just like the real song…. When Christina comes out with donuts in hand, they finally figure out that she’s the real deal, and the customers are beyond excited! They all seem delighted to not only get a hug from a megastar like Christina, but to have been included in the fun. One young man seems to be a huge fan of hers already, so when she calls him out for his all-denim “Canadian Tuxedo,” he cracks up. Every group that comes in can’t believe their ears when they hear a famous chanteuse singing a customized song for them over the loudspeakers, and Christina is so charming and good-natured that it makes us love her all the more. How amazing would it be to hear Christina Aguilera singing a song just for you? Makes us want to take a trip to L.A. just in case we could get on the show! In the meantime, we’re looking forward to more of these fun “Undercover Sing” pranks from Jimmy and the gang. Watch Christina’s funny “Undercover Sing” segment below, and be sure to share with a fan who’ll appreciate it!